If you're looking for a villain in the latest crisis of Canadian journalism, don't blame Postmedia Network. It's just doing what comes naturally to a bottom-line corporation that is mostly owned by U.S. hedge funds that are bleeding it (and Canadian journalism) dry with high-interest loans, which they also largely hold. Postmedia is just trying to do what it thinks it can get away with to fatten the bottom line and feed its rapacious owners. Worried about the future of Canadian media? Understand who's made the decisions. It is knee-deep in complicity when it comes to the sorry state of Canada's news media, in particular for ''foolishly'' rubber-stamping Postmedia's $316-million purchase of 175 Sun Media newspapers last year without even the need for hearings. This was effectively the takeover of the country's second-largest newspaper chain by its largest (seller Quebecor retained three French-language tabloids), yet it was adjudicated in secret by the Competition Bureau. Not only that, but after it announced that its economic analysis absurdly concluded that the two newspapers Postmedia now owns in Calgary, Edmonton, and Ottawa didn't compete anyway, the bureau refused my request for a copy of this taxpayer-funded research. Once it got the green light for its takeover, Postmedia's announcement on Tuesday that it was merging its newsrooms and eliminating 90 jobs in those cities was predictable. The shocker is that it would try the same thing in Vancouver. When the Vancouver Sun and theDaily Province formed a partnership in 1957, the Competition Bureau's predecessor, the Restrictive Trade Practices Commission, held hearings in both Ottawa and Vancouver. As I document in my 2001 book Pacific Press: The Unauthorized Story of Vancouver's Newspaper Monopoly, the RTPC declared the merger an illegal combination between competitors. The Sun and Province argued that if they weren't allowed to go into business together, under the peculiar economics of the industry there would eventually be only one newspaper left in Vancouver. That ignored the fact there were then three, but Pacific Press bought the morning Herald from Thomson Newspapers and quickly folded it. Oh, all right then, responded the RTPC, go ahead and merge, but make sure you keep separate newsrooms forever and ever. It was a small price Pacific Press was forced to pay for its lucrative new monopoly. Well, so much for that. The Restrictive Trade Practices Commission published its findings in book form in 1960. A Special Senate Committee on Mass Media held hearings and published three thick volumes a decade later. ''There are only five cities in the country where genuine competition between newspapers exists,'' it noted in fruitlessly recommending a Press Ownership Review Board to slow consolidation. A decade after that, when dailies folded in Ottawa and Winnipeg on the same day, the first Prime Minister Trudeau quickly convened a Royal Commission on Newspapers to investigate. It held hearings across the country and published a report that was accompanied by no fewer than eight book-length research studies. 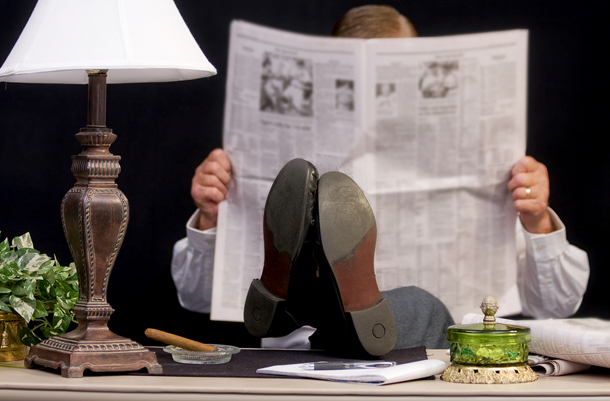 ''Newspaper competition, of the kind that used to be, is virtually dead in Canada,'' its report noted. ''This ought not to have been allowed to happen.'' It recommended limiting newspaper ownership to five dailies per chain, but a proposed Canada Newspaper Act was never tabled in Parliament as the government changed from Liberal to Progressive Conservative. It recommended a new section for the Competition Act to deal with news media mergers and prevent corporate dominance in any market. As the Competition Bureau was unlikely to have the expertise to deal with such mergers, it recommended an expert panel conduct the review. Election of an ardently deregulationist Harper government that year, however, doomed the recommendations. Still profitable, but for whom? Postmedia, of course, argues that it now has to compete with the Internet. Yes, and it now owns Sun Media's canoe.ca news website in addition to its own Canada.com, giving it two of the country's largest online news operations. That is in addition to its 37.6 per cent share of paid daily newspaper circulation in Canada, by my calculations, including 75.4 per cent in the three westernmost provinces, where it now owns eight of the nine largest dailies. But newspapers, they will add, are facing tough times. 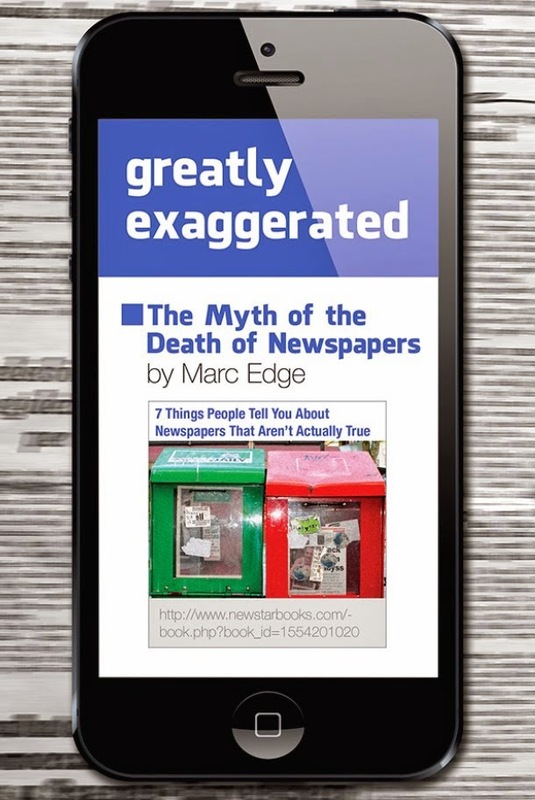 Sure, but as I document in my 2014 book Greatly Exaggerated: The Myth of the Death of Newspapers, they are still mostly making double-digit profit margins. Its latest quarterly report shows that Postmedia made a healthy 16.9 per cent return on revenue from September to November, with earnings of $42.5 million on revenues of $251 million. But it's funny how things change. The incoming Trudeau government now has the opportunity to halt the madness. Or it can sit back and watch as one giant media corporation consolidates almost all of the country's remaining press competition.